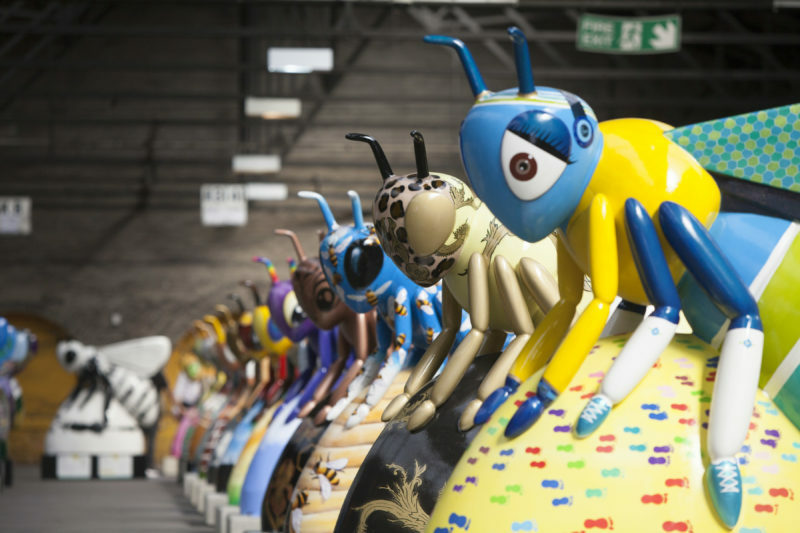 A giant colony of super-sized Bee sculptures is winging its way to Manchester this summer for one of the biggest public art events the city has ever seen! 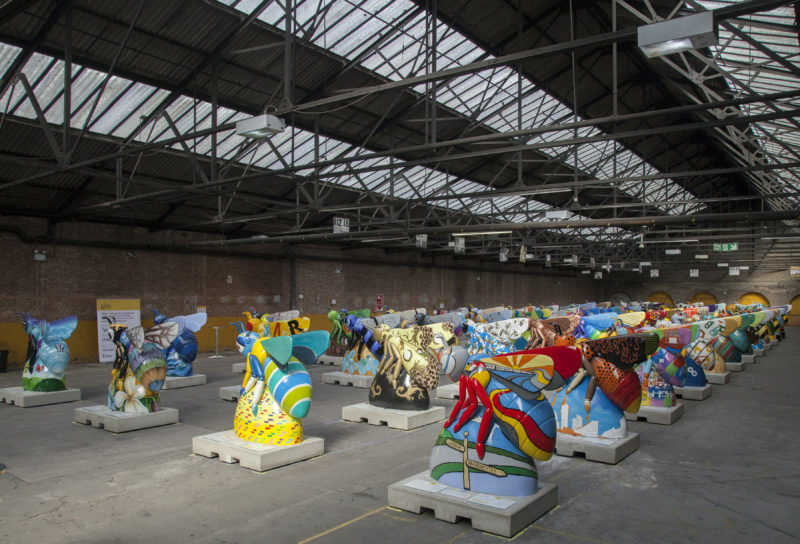 Over one hundred giant worker Bee sculptures, each decorated with its own unique design, will wing their way to Manchester from 23 July to 23 September, when the city lands one of its biggest and most spectacular public art events. The Bees were launched at Mayfield Depot, where the amazing array of designs and un-bee-lievable range of styles, techniques and themes, created by professional, emerging and community artists was revealed, before they hit the streets on Monday. Iconic Mancunian designs include a ROCK ‘N’ ROLL Bee designed in partnership with Liam Gallagher, a Hac ‘BEE’ enda Bee celebrating the city’s legendary nightclub, a Bee honouring one of Coronation Street’s most iconic characters, Hilda Bugden, plus footballing tributes to Manchester’s famous clubs Bee United and Mike Summer-Bee. Manchester’s creative community has of course contributed to the trail and art fans will be treated to a tribute to Pablo Picasso’s stylised work, Pablo Bee-Casso by Jenny Leonard, a hand-drawn Manchester Doodle Bee by Dave Draws, Harpurbee by illustrator Guy Mckinley, and Love by stand out Manchester designer and illustrator, Caroline Dowsett. Representing the Manchester street art scene are renowned Mancunian artists including Hammo, with his City in the Bee, which depicts a bright pink Manchester skyline to show solidarity and love for the city, and multi-talented artist and designer, Lei-Mai LeMaow, who is set to get taste buds tingling with her stunning Summer Sundae Bee painted in her signature Memphis style. Manchester’s historical identity is represented throughout the trail, with the beautiful Lock Keeper’s Bee by Adam Pryce, Industrious by Tim Sutcliffe and Kim Hubball’s, My Heart Belongs in this Place, which takes inspiration from Manchester’s dynamism, resilience and optimism. The Bee sculptures will make their homes at some of the city’s most famous locations including Albert Square, St Peter’s Square, Piccadilly Gardens, Spinningfields, and the Northern Quarter, plus further afield in The Quays, Levenshulme, Harpurhey and many more. 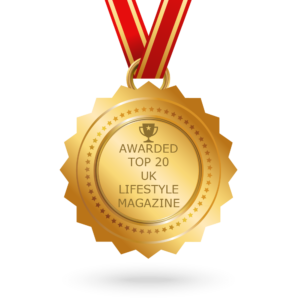 Take a look at the trail here. 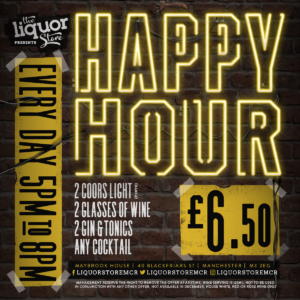 “Manchester is such a unique city in many ways, and one of those is its ability to bring people together. Different sectors have collaborated to create this fabulous event, including the public and private sectors, schools and community groups. As well as a celebration of creativity, the trail is also a celebration of unity. Adding to the magic, further afield will be 131 little Bee sculptures, designed by children from 121 schools and youth groups. They are already on public display in city centre venues including Central Library, Manchester Cathedral, the National Football Museum and The Royal Exchange Theatre. A map of the little Bees can be downloaded from the Bee in the City website. 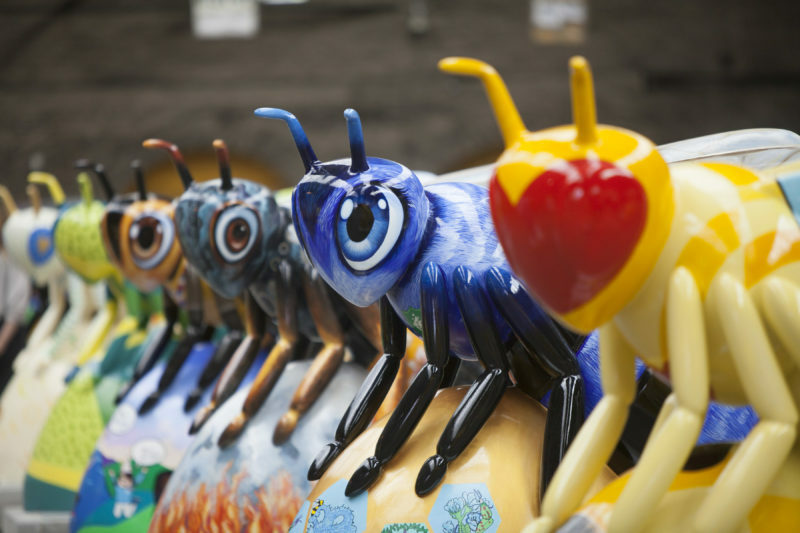 After the trail the big 3-D Bee sculptures will be auctioned to raise funds for The Lord Mayor of Manchester’s charity – We Love MCR Charity to improve the lives and life chances of Manchester people.